A few years ago my wife and I were doing some recreational house-hunting. While viewing a beautiful home, she commented, “I like this house but we’d need to replace all the tile floors.” I thought the tile was nice. After mentally estimating the cost of replacement, I thought to myself: the next time I hear her talk about expensive renovations, I’m walking out. Man, I sure drew the line in the sand with that one! And made a big mistake. It was a great opportunity to listen, to understand her reasoning and engage her in dialogue about the issue. And I blew it. Instead, she felt misunderstood and disrespected, creating that kind of distancing that is not good for romance. The incident reminded me that I first learned about effective interpersonal skills in the mid-1970s. 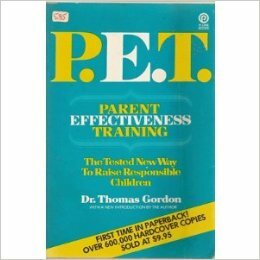 After a month-long course in communication skills, I read Dr. Thomas Gordon’s now-classic book, P.E.T., which stands for “Parent Effectiveness Training.” It literally changed my life. I learned that there’s a most effective way to listen, give feedback, and resolve conflicts. The book instructs so simply and correctly that it remains the best introduction to these vital skills. Later, I discovered dozens of other people skills. I committed to using them in my life; I integrated this kind of skill-building into my training programs, and I’ve been helping adults improve the way they communicate ever since. These best practices are crucial for leading teams and relating to coworkers. When you use them, you win. When you forget to use them, you lose. They’re that important. They’re vital to parent-teen relationships, too. Parents can get away with poor communication skills for the first 10 or 12 years of a child’s life. You can say “because I said so” to a little kid and get away with it. But once a child reaches puberty, the game changes. This approach stops being effective. 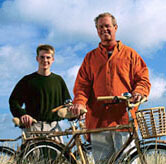 Adolescents seek independence. And that’s a good thing. They need to prepare to build lives of their own. And they don’t want to be thought of as little kids anymore. They hate being talked to this way, but that’s what parents have been doing since the child was born. Teens need the love and wisdom parents can give, but during their long, slow journey towards adulthood, still-developing teenagers can be put off, even alienated by this kind of treatment. Many of them conclude that their parents “just don’t get it” and they turn to their friends for support. It’s a problem that’s been going on for thousands of years. So raising a teenager is a high-stakes business. There’s great potential for something wonderful to happen, and you want to be able to influence the outcome. There’s also the potential for tragedy. Dr. Gordon was right: The biggest factor is how parents communicate with their growing child. When you use the skills, you win. When you don’t, you lose. And helping your child develop vital thinking skills is perhaps the best way to prepare them for leaving the nest. My new book: How Your Teen Can Grow a Smarter Brain.